Are you preparing the plastic or adding additional adhesive to the masking tape? Is there a concern the regular tape adhesive will deteriorate in a few years? As I note in the post, I run a line of Thick CA onto the styrene before laying the masking tape in place. I like the texture of the masking tape but would never trust the adhesive. Trevor, what sort of tobacco were these used for? I’m surprised that, living in Tennesee, and previously in Kentucky, that I’ve never heard of such a thing. Drying sheds, yes… perhaps they are the same thing? If you are going to use a lot of styrene for construction you might want to consider buying 4 x 8 sheets from a plastic supplier. The cost will be substantially less than buying the sheets at your local hobby shop. Find some friends and get a bulk order together. I picked up some a number of years ago and am just using up the last of it now. I’ve bought styrene in large sheets like that in the past, for backdrops. In this case, I wanted to get started on the project and there’s a hobby shop on my way to the farm where I work my Border Collie on sheep. I purchased 4′ x 8′ sheets of styrene from a supplier in London. It’s definitely the way to go if you contemplate using quantities of styrene sheet. Far cheaper than buying packs of stock at the hobby store. This is a fabulous site, and I can see that you put as much effort into it, as building trains! I’m looking forward to reading more of your blog as I have time. Do you build mostly in plastic, or wood? 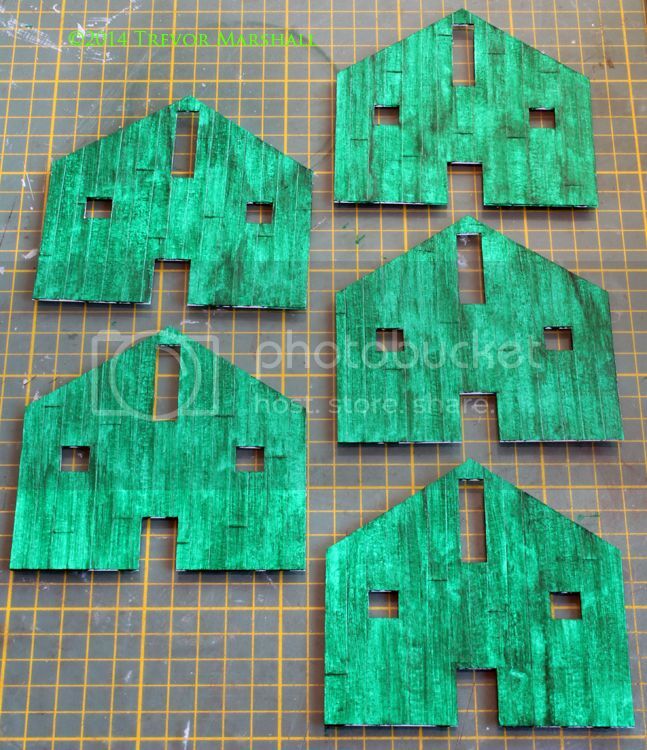 I’m starting to build my own HO buildings, and have begun working in wood. Just out of curiosity, where are the local hobby stores you go to? You mention one on the way to the farm, and was wondering if it was Credit Valley, or something East of Toronto. I build in whatever’s appropriate for the project, and in whatever I feel like working in at the time. Wood, styrene, resin, metal – it’s all good! Local hobby shops include Credit Valley RR Co, George’s Trains, and – when I’m heading to sheep-herding country – Crossbuck Hobbies or Hornet Hobbies. I’d also consider Lee Valley Tools to be a hobby shop, for certain things: tools, obviously, but I find other goodies there too. Sayal Electronics is a good source for electrical components – but so, surprisingly, is one of the local Home Hardware stores, which has a huge electronics shop in the basement. You’re not at all concerned that the tile pattern could telegraph through the masking tape in time? I’m consistently amazed at how much you manage to accomplish on your layout! Keep it up! Great to hear from you, and it’s a good question. No – I’m not concerned. As I noted in the post, I run a bead of Thick CA (Zap-a-Gap or some such) onto the styrene before laying down the masking tape. This nicely runs into the grooves on the styrene – in fact, the tiles give excess CA some place to go. You may wish to add Wheels and Wings and John’s Photo and Hobby to your list of local hobby shops. They are both on the Danforth and are easily accessible by subway. It’s good to visit shops that cater to other model builders. I visited D&B’s hobby shop in Sarnia on the weekend. It has a tiny model rail area, but a lot of ship, auto, aircraft and armour kits. Lots of paints that one does not see in a model rail store–more on this anon. 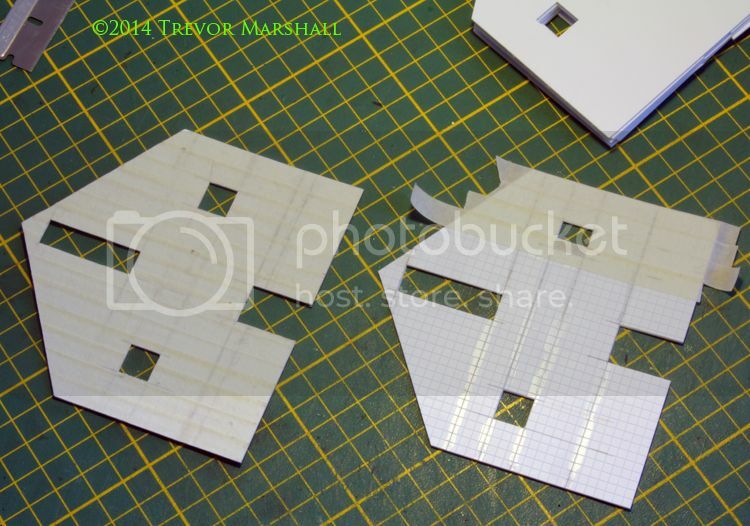 Much of what we are seeing in multimedia model rail kits is also used in 1:350 shipbuilding as well. The owner also gave me advice on how to straighten a BGR coach that has bedevilled me by taking a swayback while in the kit box of almost 80 thou–good thing that I’ve not built it yet! I walked away with a Lifecolor paint and pigment “rust” set that I just HAVE to use!! Just because a shop has not a lot of model rail product does not mean that one cannot pick up some very useful stuff and advice!